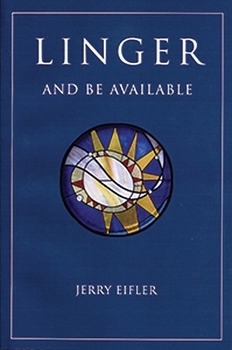 Father Jerry Eifler's first collection of homilies, first published in May 2003 and reprinted to continue Father Eifler's ministry. 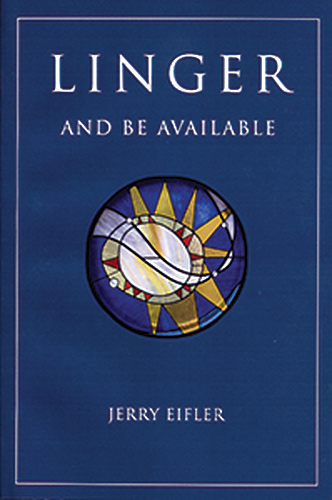 Over a decade later, Linger and Be Available still offers the same timeless insight and spiritual wisdom that parishioners and readers have long enjoyed from the Roman Catholic priest and author. Jerry Eifler, M.A., M.Ed., was ordained a Roman Catholic priest in 1961. He has served as an associate parish priest, teacher, counselor, therapist, director of development and assistant to a college president. He has been a parish pastor for 26 years, during which time he has served on a number of civic and professional boards and committees. Currently he is the pastor of St. Frances of Rome Church in Louisville, Kentucky. He enjoys art, architecture, travel, music, theater, history, archeology, and as much of the human experience as possible. This is the second book of homilies he has authored. To continue Father Eifler's ministry, Butler Books has also brought his other two collections back into print: Unpacking for the Journey and Embracing the Source.